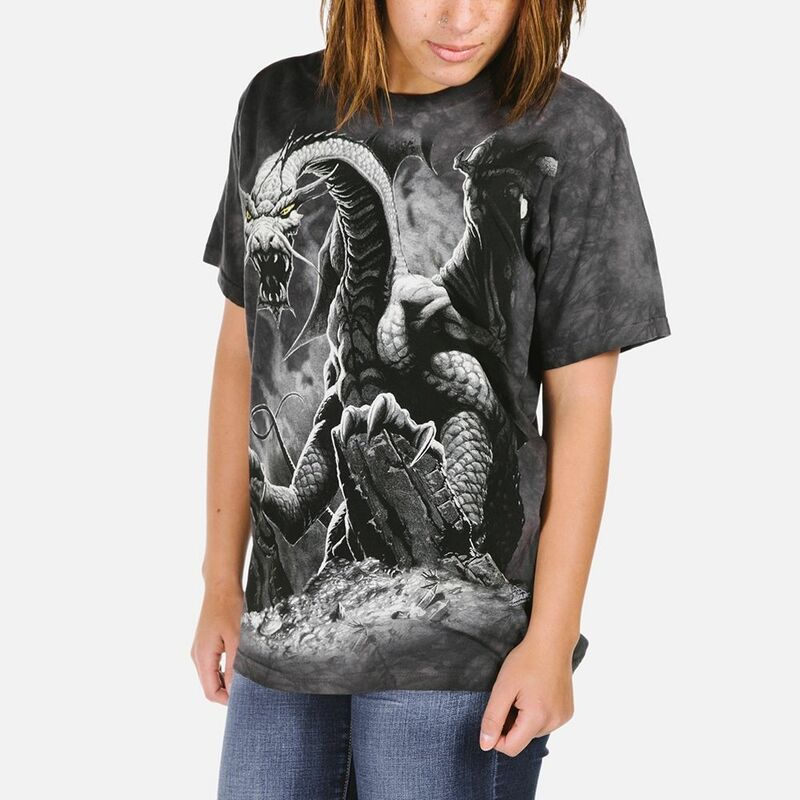 Lost Valley T-shirt is a dragon design by Meiklejohn Graphics. 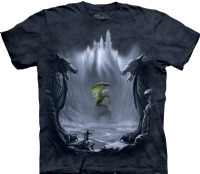 This fantasy t-shirt features a wizard standing among two stone dragon guardians to the lair of a dragon. The wizard's arms are extended calling out to the dragon across the valley.